We’d love your help. 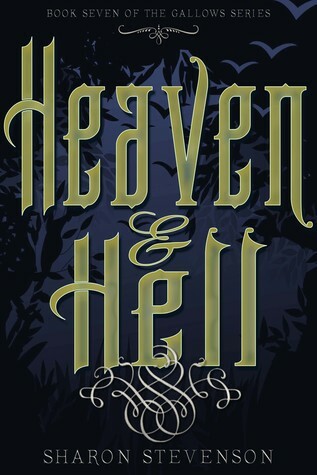 Let us know what’s wrong with this preview of Heaven & Hell by Sharon Stevenson. To ask other readers questions about Heaven & Hell, please sign up. I have already read this book twice since Sharon sent it to me! I love this series and this book is an excellent addition. We mostly see Sarah and Dev in this book, they have a lot going on. Sharon manages to pull you in and leave you hanging every time, resolving a lot of issues along the way and creating new ones. Not quite as good as previous books but I think it has prepped well for the next one which should be great. I'm the twisted mind behind The Gallows Novels and the After Death Series. If you want to know a bit about me, here it is: I spend too much time indoors and probably watch too many horror films. Some of my favourite things are; Alone time, people who know when to shut up, having a drink, eating pizza (usually after having too much drink the night before), reading books, adult swim cartoons, bad ho I'm the twisted mind behind The Gallows Novels and the After Death Series. If you want to know a bit about me, here it is: I spend too much time indoors and probably watch too many horror films. Some of my favourite things are; Alone time, people who know when to shut up, having a drink, eating pizza (usually after having too much drink the night before), reading books, adult swim cartoons, bad horror and sci-fi movies, proper good TV shows like Dexter & The Walking Dead, and last but not least having a laugh with my hilarious other half - this would usually include some of the above.